A large-scale study at the University of Georgia  has found that college students provided with free course materials at the beginning of a class get significantly better academic results than those that do not. The Georgia study, published this week , compared the final grades of students enrolled in eight large undergraduate courses between 2010 and 2016. Each of these courses was taught by a professor who switched from a commercial textbook costing $100 or more to a free digital textbook, or open educational resource, at some point during that six-year period. By comparing the before and after results of these eight courses, the study found that switching to OER increased the number of A and A-minus grades students received by 5.50 percent and 7.73 percent, respectively. The number of students who withdrew or were awarded D or F grades (known as the DFW rate) fell by 2.68 percent. A total of 21,822 students were included in the study, 11,681 of whom used commercial textbooks and 10,141 of whom used free digital textbooks. The eight courses were in biology, history, psychology and sociology, and they used OER textbooks supplied by OpenStax , a nonprofit initiative of Rice University . Though a number of studies have looked at changing faculty perceptions of OER  and the cost savings it can produce, relatively few have focused on the impact OER can have on student learning, said C. Edward Watson, co-author of the study. Watson, who was director of the Center for Teaching and Learning at Georgia when the study began, now works for the Association of American Colleges and Universities. He said the CTL began encouraging faculty to adopt OER in 2013 by targeting professors who teach entry-level courses with large numbers of students. “I’d take them for coffee and talk about the options,” he said of the professors. 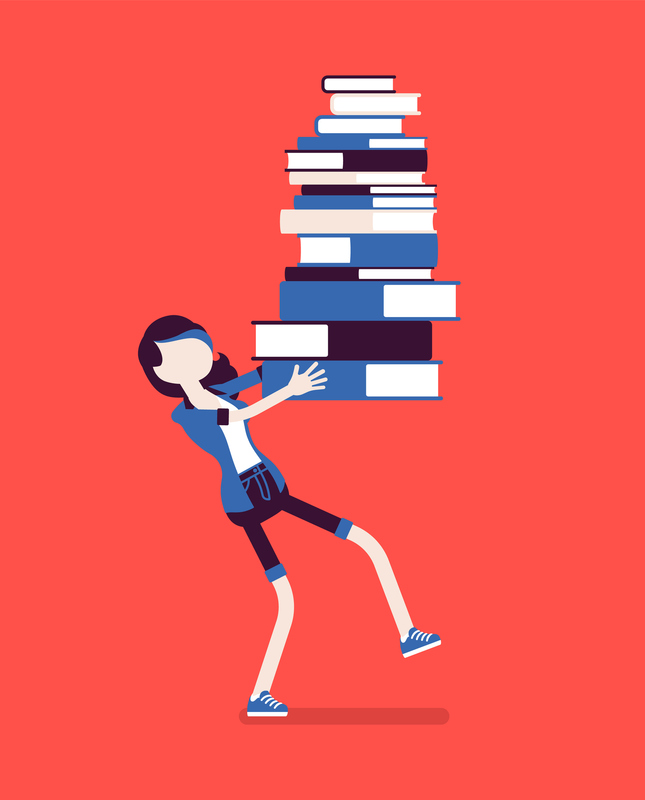 Watson said faculty were not pressured to choose OER -- a tactic that would likely have failed given the academic freedom enjoyed by most faculty -- and were instead asked to think about the cost of the textbooks they assign. Since 2013, more than 35,985 students have been enrolled in courses that use OER materials at UGA, saving students $3,266,930, the study said. Watson believes the UGA study is the “first of its kind” to consider at scale the impact OER might have on students of differing socioeconomic statuses. Watson thinks that one of the main reasons OER led to improved student results is because all the students had the materials on the first day of class. In courses assigned commercial textbooks, students did not always buy the book right away, if at all, he said. Nicole Allen, director of open education at SPARC, an advocacy group that promotes the use of OER, agreed that a large part of the gains observed in the study could be linked to students having access to course materials on day one of the course. “After all, students can’t learn from materials they can’t afford,” she said. It's also possible that professors teaching with OER materials were simply more engaged with the course content, or that the OER content was of a better quality than the content in commercial textbooks, Allen said. Day-one access is a key selling point of inclusive-access  programs -- initiatives where publishers and universities roll textbook fees into students’ tuition so that all students have the right materials on the first day of class. Watson believes that a study comparing inclusive-access programs with traditional textbooks might achieve similar results to the OER study. But OER has significant advantages over inclusive-access programs, said Allen. Inclusive-access programs and OER are often delivered digitally, with the option to pay extra for a print textbook. However, because OER is openly licensed, students have the option of printing their own materials at home or downloading materials to view off-line. This adaptability is why the open aspect of OER is so important, she said. Though the Georgia study is large in scale, it is limited in that it was only conducted at one institution. Watson and Allen both believe further studies are needed at other types of institutions with different student populations. Still, the results of the study were promising. “The most important finding of this study is that it directly links OER with equity. The greatest gains from using OER accrued to the students most likely to be underserved for traditional models,” Allen said. Although the study compared the results of students taught by the same instructors and reduced the possibility of instructor bias, Ortagus said there were a “host of other reasons” that might explain why students enrolled in courses using OER achieved better results. Improved student grades could, for example, have been caused by the institution becoming more selective over time and admitting higher-achieving students. Watson said that in hindsight, he would have liked to include students’ SAT scores and GPAs to control for the influence of student selection. Ortagus said that although trying to make courses more affordable is a “noble pursuit,” the study results should be interpreted with caution. Joshua Goodman, associate professor of public policy at the John F. Kennedy School of Government at Harvard University , and Robert Kelchen, assistant professor of higher education at Seton Hall University, agreed that the study is interesting, but not conclusive. The Georgia study was “a good start” but could have been “more convincing” in its analysis, said Goodman. For example, the study could have better controlled for the changing characteristics of students over time, he said. It could also have looked more closely at how switching to OER earlier or later in the six-year period influenced results, since the professors teaching the eight courses did not all make the switch to OER at the same time. Kelchen pointed out that one of the limitations of the study, also noted by the authors, is that some professors received additional support from CTL in making the switch to OER. This assistance likely “served as a catalyst to further the instructors’ engagement with their own teaching,” the study said. Professors also became more experienced over the six-year span of the study, which could also explain the improvement in students’ academic performance, he said. “These are promising results, but as is almost always the case, we need more rigorous research to parse out these positive effects,” said Kelchen.